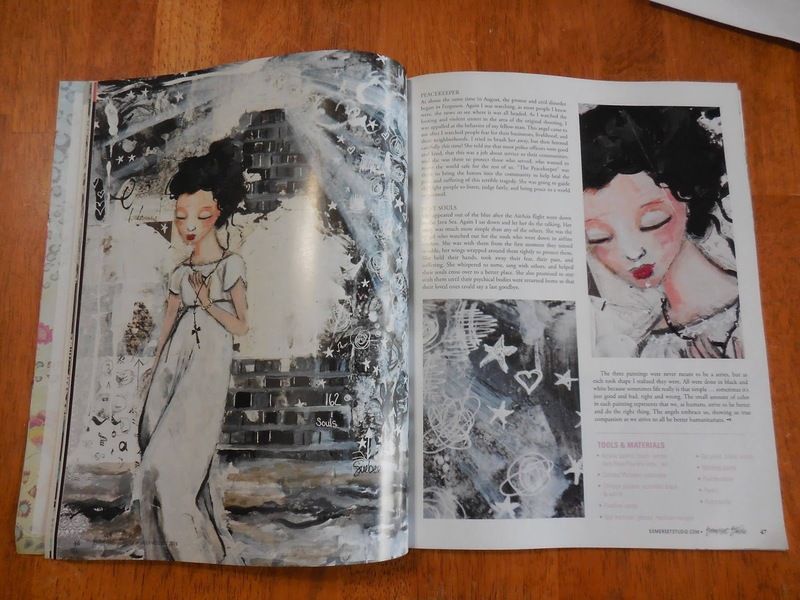 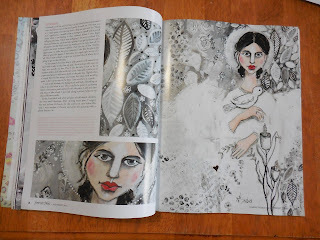 Once again the art of Sue Monaghan graces the pages of Somerset Studio. 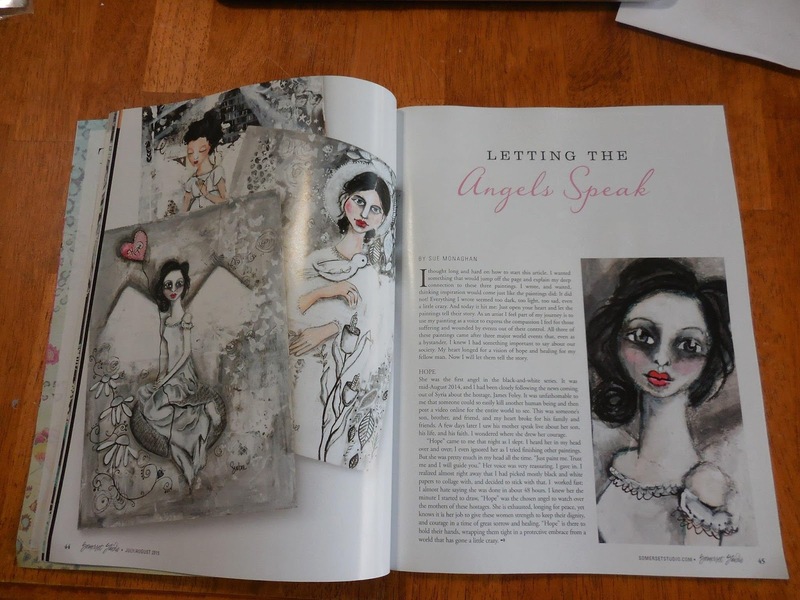 Take a quick peek at her angels and then do your best to get your own copy of the latest publication! You can even let Somerset Studio know how much you like Sue's work! 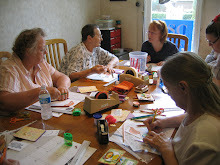 Sue will be teaching at Cootie Coo Craziness again this year (October 8 -12), so mark your calendars and plan on joining in the 4.5 days of crafting mania this fall!